How can a Wyoming Criminal Defense attorney help me fight a DUI charge? 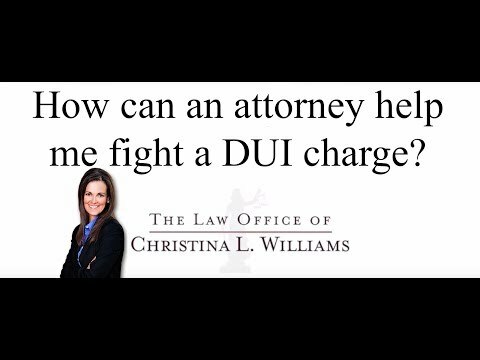 How can an attorney help me fight a DUI charge? When you hire an attorney to evaluate your DUI charge, the attorney looks at the many different parts of a DUI, starting with the driving or the reason why the officer came into contact with you. That initial contact has to be lawful. The officer has to either have observed some sort of violation of the law, whether it’s a traffic violation such as not using your turn signal or coming to a complete stop or swerving outside of your lane. Or, the officer may approach your vehicle if you’re in a parking lot for purposes of community safety. If you are sitting in your car in a parking lot, say in the middle of the evening. Also, citizens in the community are allowed to call in what are called ready reports, report every drunk driver immediately. If a ready report is made and an officer is able to find the vehicle matching the description of the vehicle being described in the report, then the officer may come in contact with that driver. That’s the first part of a DUI that an attorney will review. The second part is did the officer have reason to believe that the person was drinking and driving? That is, if they do stop you for traffic violations, are they then able to tell the court why they turned that traffic stop into a DUI investigation. They must be able to show the reason that they then decided to investigate you. Once that step has been accomplished by the law enforcement officer, the officer must then have probable cause to believe that you are unable to safely drive or that you’re over the legal limit. Again, after that phase of the DUI investigation is completed, the officer places the person under arrest. They must, in fact, place you under arrest, tell you why they are arresting you. Once you are in the detention center, they will ask you take a test of your blood, breath or urine. That test must be performed accurately and documented accurately. Our office checks to make sure that that phase of the DUI is also conducted correctly. If at any of those different phases, law enforcement has done anything incorrectly, or violated your rights in any way, we are allowed to file a motion before the judge and basically complain to the judge that the officer didn't perform the investigation properly and ultimately ask that the evidence against you be suppressed. Without the evidence, the prosecutor will then be unable to prove it’s case beyond a reasonable doubt.